Food intolerances and sensitivities are extremely common. In fact, it’s estimated that between 2–20% of people worldwide may suffer from a food intolerance (1). Elimination diets are the gold standard for identifying food intolerances, sensitivities and allergies through diet. They remove certain foods known to cause uncomfortable symptoms and reintroduce them at a later time while testing for symptoms. Allergists and registered dietitians have been using elimination diets for decades to help people rule out foods that are not tolerated well. An elimination diet involves removing foods from your diet that you suspect your body can’t tolerate well. The foods are later reintroduced, one at a time, while you look for symptoms that show a reaction. It only lasts 5–6 weeks and is used to help those with a sensitive gut, food intolerance or food allergy identify which foods are contributing to their symptoms (2, 3). In that way, an elimination diet may alleviate symptoms like bloating, gas, diarrhea, constipation and nausea. Once you have successfully identified a food your body can’t tolerate well, you can remove it from your diet to prevent any uncomfortable symptoms in the future. There are many types of elimination diets, which all involve eating or removing certain types of foods. However, if you have a known or suspected food allergy, then you should only try an elimination diet under the supervision of a medical professional. Reintroducing a food allergen may trigger a dangerous condition called anaphylaxis (4, 5). If you suspect you have a food allergy, check with your doctor before starting an elimination diet. Symptoms of an allergy include rashes, hives, swelling and difficulty breathing (6). Summary: An elimination diet is a short-term diet that helps identify foods your body can’t tolerate well and removes them from your diet. An elimination diet is divided into two phases: elimination and reintroduction. The elimination phase involves removing foods you suspect trigger your symptoms for a short period of time, typically 2–3 weeks. Eliminate foods that you think your body can’t tolerate, as well as foods that are notorious for causing uncomfortable symptoms. Some of these foods include nuts, corn, soy, dairy, citrus fruits, nightshade vegetables, wheat, foods containing gluten, pork, eggs and seafood (7). During this phase, you can determine if your symptoms are due to foods or something else. If your symptoms still remain after removing the foods for 2–3 weeks, it is best to notify your doctor. The next phase is the reintroduction phase, in which you slowly bring eliminated foods back into your diet. If you experience no symptoms during the period where you reintroduce a food group, you can assume that it is fine to eat and move on to the next food group. However, if you experience negative symptoms like those mentioned above, then you have successfully identified a trigger food and should remove it from your diet. The entire process, including elimination, takes roughly 5–6 weeks. If you plan to eliminate many food groups, seek advice from your doctor or a dietitian. Eliminating too many food groups may cause a nutritional deficiency. Summary: An elimination diet works by removing foods you think cause discomfort. It then reintroduces them individually to check for symptoms. What Can’t You Eat on an Elimination Diet? The best elimination diets are the most restricting. The more foods you remove during the elimination phase, the more likely it is that you will discover which foods trigger uncomfortable symptoms. Citrus fruits: Avoid citrus fruits, such as oranges and grapefruits. Nightshade vegetables: Avoid nightshades, including tomatoes, peppers, eggplant, white potatoes, cayenne pepper and paprika. Nuts and seeds: Eliminate all nuts and seeds. Legumes: Eliminate all legumes, such as beans, lentils, peas and soy-based products. Starchy foods: Avoid wheat, barley, corn, spelt, rye, oats and bread. Also avoid any other gluten-containing foods. Meat and fish: Avoid processed meats, cold cuts, beef, chicken, pork, eggs and shellfish. 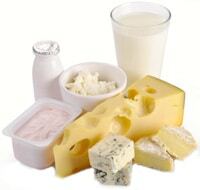 Dairy products: Eliminate all dairy, including milk, cheese, yogurt and ice cream. Fats: Avoid butter, margarine, hydrogenated oils, mayonnaise and spreads. Beverages: Avoid alcohol, coffee, black tea, soda and other sources of caffeine. Spices and condiments: Avoid sauces, relish and mustard. Sugar and sweets: Avoid sugar (white and brown), honey, maple syrup, corn syrup and high-fructose corn syrup, agave nectar, desserts and chocolate. If you suspect that other foods not on this list make you feel uncomfortable, it is highly recommended to remove them as well. Summary: A good elimination diet is very restricting, which helps you identify as many trigger foods as possible. Although an elimination diet is very restricting, there is still enough variety to make healthy and delicious meals. 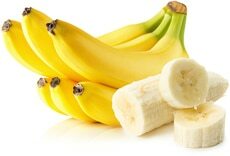 Fruits: Most fruits, excluding citrus fruits. Vegetables: Most vegetables, excluding nightshades. Grains: Including rice and buckwheat. Meat and fish: Including turkey, lamb, wild game and cold-water fish like salmon. Dairy substitutes: Including coconut milk and unsweetened rice milk. Fats: Including cold-pressed olive oil, flaxseed oil and coconut oil. Beverages: Water and herbal teas. Spices, condiments and others: Including black pepper, fresh herbs and spices (excluding cayenne pepper and paprika) and apple cider vinegar. To stay motivated during this restrictive phase, try designing new recipes and experimenting with herbs and spices to add delicious flavor to your dishes. Summary: Although elimination diets are restricting, there are still plenty of food options to make healthy and delicious meals. Besides the traditional elimination diet described above, there are several other types of elimination diets. Low-FODMAPs diet: Removes FODMAPs, which are short-chain carbohydrates that some people can’t digest. Few foods elimination diet: Involves eating a combination of foods that you don’t eat regularly. One example is the lamb and pears diet, which is popular in the US, where lamb and pears are not commonly eaten. 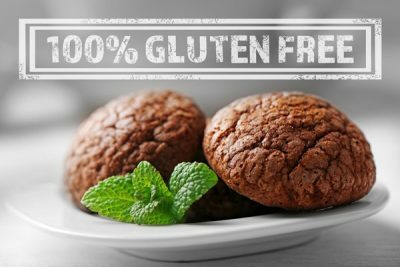 Rare foods elimination diet: Similar to a few foods diet, but you can only eat foods that you rarely ever eat, as they are less likely to trigger your symptoms. Common foods on a rare food diet include yams, buckwheat and starfruit. Fasting elimination diet: Involves strictly drinking water for up to five days, then reintroducing food groups. This type of diet should only be done with permission from your doctor, as it can be dangerous to your health. Other elimination diets: These include lactose-free, sugar-free, gluten-free and wheat-free diets, among others. Summary: There are many different types of elimination diets, including the low-FODMAPs diet, the few foods diet, the rare foods diet, fasting and more. Elimination diets help you discover which foods cause uncomfortable symptoms so you can remove them from your diet. Irritable bowel syndrome (IBS) is a very common gut disorder that affects between 10–15% of people worldwide (8). Many people find that an elimination diet improves IBS symptoms like bloating, stomach cramps and gas. In one study, 150 people with IBS followed either an elimination diet that excluded trigger foods or a fake elimination diet that excluded the same number of foods but not ones linked with uncomfortable symptoms. People who followed the actual elimination diet reduced their symptoms by 10%, and those who best stuck to the diet reduced symptoms by up to 26% (9). Eosinophilic esophagitis (EE) is a chronic condition where allergies trigger inflammation of the esophagus, the tube that delivers food from mouth to stomach. People with EE have difficulty swallowing foods that are dry and dense, increasing their risk of choking. Many studies have shown that elimination diets are effective for improving symptoms of EE (10, 11, 12). In one study of 146 patients with EE, over 75% of all patients experienced significantly fewer symptoms and less inflammation through an elimination diet (12). ADHD (attention-deficit/hyperactivity disorder) is a behavioral disorder that affects 3–5% of all children and adults. Studies have shown elimination diets may reduce symptoms of ADHD (13, 14, 15). One analysis looked at 20 studies that restricted certain foods to improve ADHD symptoms. Researchers found that elimination diets helped reduce ADHD symptoms among children who were sensitive to foods (15). However, children should not follow an elimination diet unless supervised by a medical professional. Elimination diets restrict many essential nutrients that are important for growing children, and long-term restriction could stunt their growth. Eczema is a group of skin conditions that appear as red, itchy, cracked and inflamed skin. There are many different causes of eczema, but many people find that eating certain foods can worsen their symptoms. Several studies have found that elimination diets may reduce symptoms of eczema (16, 17, 18). In one study of 15 participants with eczema, 14 found that an elimination diet reduced their symptoms and helped identify their trigger foods (18). Roughly 2–3 million people in the US alone suffer from chronic migraines (19). The causes of migraines are still unclear, but studies have shown that inflammation could be a trigger (20). An elimination diet removes foods that cause inflammation and has been shown to reduce chronic migraines (21, 22). In one study, 28 women and two men with frequent migraines followed an elimination diet for six weeks, which helped reduce the number of headache attacks during that time from nine to six (22). Summary: An elimination diet may benefit people with IBS, ADHD, migraines, eosinophilic esophagitis and skin conditions like eczema. Although elimination diets are a great way to discover which foods cause you problems, they also come with a few risks. For starters, elimination diets should only be followed for a short period of time, or between four and eight weeks. Following an elimination diet for longer is not recommended, as it could cause nutrient deficiencies as a result of eliminating certain food groups. Additionally, children and people with known or suspected allergies should only do an elimination diet under the supervision of a doctor. Because elimination diets are restricting, taking away certain food groups for even a short period of time could stunt a child’s growth (23). Children are also more prone to severe reactions, like anaphylaxis, when reintroducing a food group. This is because their bodies can become extra sensitive to foods after avoiding them (24). Summary: Elimination diets can reduce the intake of important nutrients if followed for too long. Children and people with known or suspected allergies should not follow an elimination diet unless supervised by their doctor. Elimination diets can help you determine which foods your body can’t tolerate well. If you’re experiencing symptoms that you think may be related to your diet, then an elimination diet could help you discover which foods are causing them. However, elimination diets are not for everyone. Children should not try an elimination diet unless supervised by a doctor or dietitian. Likewise, people with known or suspected allergies should only try an elimination diet the under the supervision of a doctor. 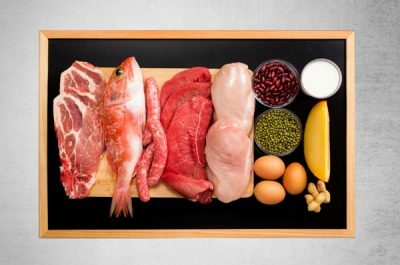 Finally, it’s important to note that elimination diets should only be done short-term, as long-term restrictions may cause nutritional deficiencies.